On April 4th, 2017, the Senate passed legislation that exempts the Delta Queen from the 1966 Safety at Sea law. 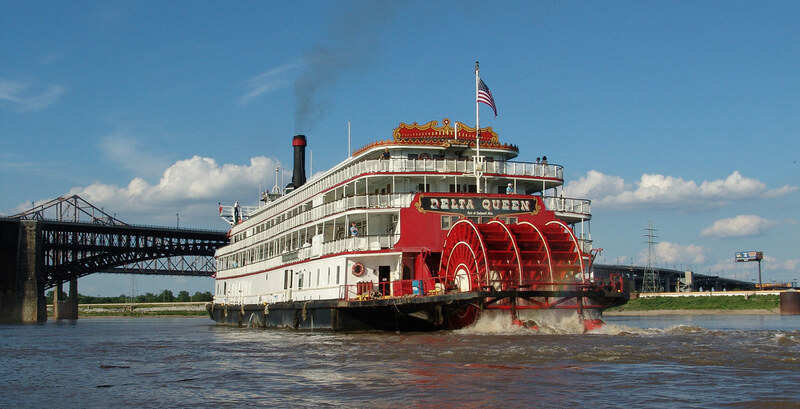 The bill now moves to the House where it needs to be approved as well in order for the Delta Queen to be able to run again as cruise ship on the Mississippi River and its tributaries. A similar bill has been passing the House in 2013 but then got stuck in the Senate and never made it to the floor. 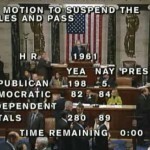 The political situation has changed since then and the new bill (S.89) this time passed the Senate by Yea-Nay Vote 85 – 12. The Delta Queen needs an exemption from the SOLAS (Safety of Life at Sea Act) so she can cruise, again, with more than 50 overnight passengers. 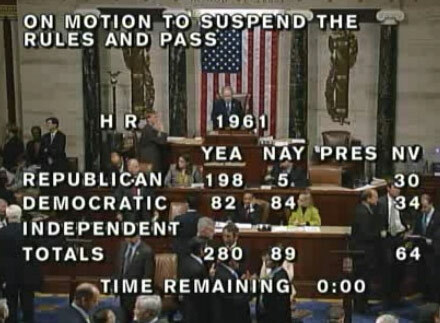 House Bill HR 1248, and Senate Bill S 1717, extend her previous exemption until 2028. Both bills have to be approved by Congress. EVERYONE, please call, fax, or email your U. S. Senators and Representatives to support these Congressional Bills. If you’re on Facebook, please SHARE on your Facebook page and encourage your friends to SHARE on their pages. Let’s make a concerted, joint effort to get Congress off dead-center and get the exemption out of committee and on the floor for a vote: Let’s make February the “SAVE THE DELTA QUEEN” month! We can do it! Even if you’ve contacted them before, contact them again. Even if your Representative or Senator is a co-sponsor, contact them and thank them and then ask them to try to get the bills moving to the floor for a vote. We need to make our voices heard. PLEASE call right away in support of HR 1248 and S 1717. Don’t delay! Do it today! Thank you for your continued devote support! A new bill in favor of the Delta Queen has now been introduces in the US Senate after the same bill has been introduced to the House of Representatives in March 2015. This in fact will help allow the historic steamboat DELTA QUEEN to be returned to the inland rivers of America, if passed both in the Senate and House. Save-the-delta-queen.org highly recommends contacting your Representatives and Senators by e-mail, phone, letter or personally in their local offices to encourage them sponsoring or at least supporting the bill. Bill no. “H.R. 1248” in the House of Representatives is sponsored by Steve Chabot (OH) with so far 16 co-sponsors: Rep. Wm. Lacy Clay (MO), Rep. Steve Cohen (TN), Rep. Eric A. Crawford (AR), Rep. Bob Gibbs (OH), Rep. Bill Johnson (OH), Rep. David P. Joyce 8OH), Rep Robert E. Latta, Rep. Thomas Massie (KY), Rep. David B. McKinley (WV), Rep. James B. Renacci (OH), Rep. Steve Stivers (OH), Rep. Patrick J. Tiberi (OH), Rep Michael R. Turner (OH), Rep. Brad R. Wenstrup (OH), Rep. Ed Whitfield (KY) and Rep. Todd C. Young (IN). Eventually the purchase of the Delta Queen is finalized, contracts have been signed on Tuesday, February 17, 2015. The Delta Queen Stemboat Company LLC is now the official new owner of the Delt Queen and is planning to get her back on the rivers as soon as possible – most likely in summer 2016. There is still a long way to go until the Delta Queen can again paddle along the rivers with overnight passengers on board as she needs the exemption law from Congress and a Coast Guard certifcate of inspection (COI). But the first important step is done now. The Delta Queen Steamboat Company, a Delaware limited liability company, Tuesday completed the purchase of the Legendary Steamboat Delta Queen from TAC Cruise, LLC (aka Xanterra Cruise, LLC) a Delaware limited liability company. Though there is still a long way to go for the Delta Queen to return to the rivers as a cruise ship, passing of bill H.R. 1961 in the House of Representatives is a major step in this direction. On Wednesday, September 25th 2013, the House has approved the bill that would grant the historic Delta Queen a 15 years exemption from a fire-retardant materials construction requirement. The Delta Queen has been granted another six months to stay at her current position at the Chattanooga riverfront at Coolidge Park, the city administration announced on Tuesday, Sept. 18. 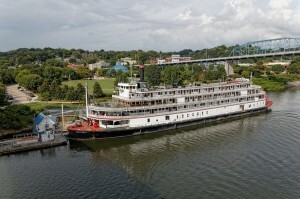 The news came just days after Chattanooga’s mayor Andy Berke had set a deadline for the Delta Queen to leave the Coolidge Park riverfront by end of September 2013. 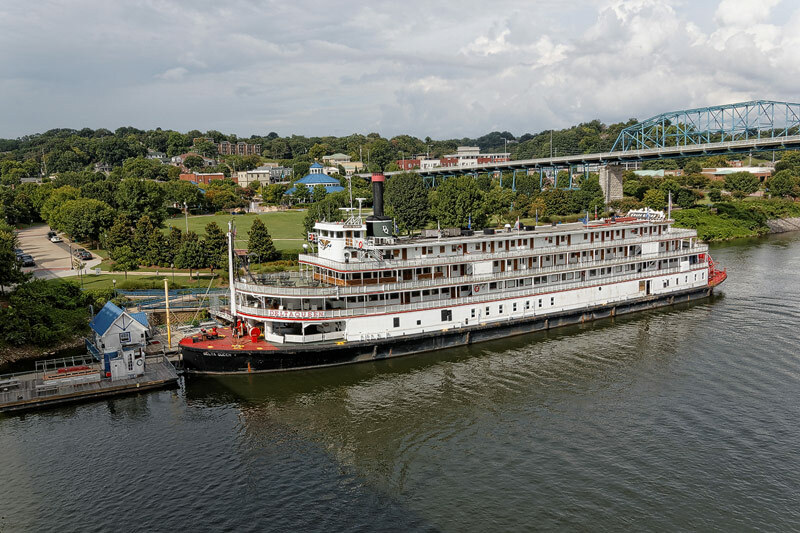 A speaker at Chatanooga’s majors office said the extended agreement for another six months is supposed to give the DQ’s owner, the Colorado-based Xanterra Parks & Resorts, more time to continue to work through the sale of the Delta Queen. According to local media at Chattanooga, Xanterra said they’re close to achieving an agreement with a buyer for the Delta Queen, but the transaction being not complete yet. 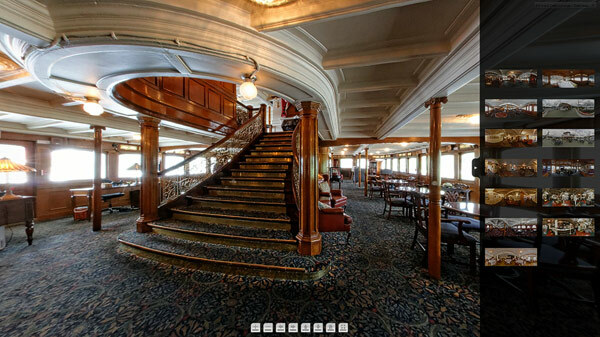 Xanterra didn’t offer any information about who the potential buyer of the Delta Queen was. The mayor’s office speaker also said the city being committed to working with Xanterra or the future owner of the boat to make Chattanooga a permanent home for the Delta Queen, if desired, which comes quite surprisingly after trying to get rid of the Delta Queen for months now.